Do certain things in your dog’s environment cause him to become over-excited, frustrated or anxious? Do you struggle to get Fido’s attention? Teaching your dog to “bounce” can help change his emotional and behavioural response to triggers, and instead to calmly focus on you. Now doesn’t that sound like a more relaxed and enjoyable time for you both? The term ‘bounce’ was coined by Dog Behaviourist Emma Parsons. It’s all about teaching your dog to look away from distractions and look back at you; your dog literally ‘bounces’ his attention from one thing (the distraction) to another thing (you). To train the bounce successfully, you want your dog to be noticing the environment but not to be fixated on it. This way Fido is in the right frame of mind to think and respond, rather than react. 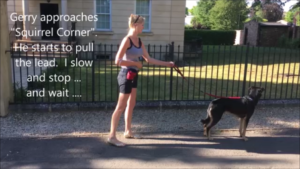 Here’s a video of me practising with my dog Gerry … and a squirrel! 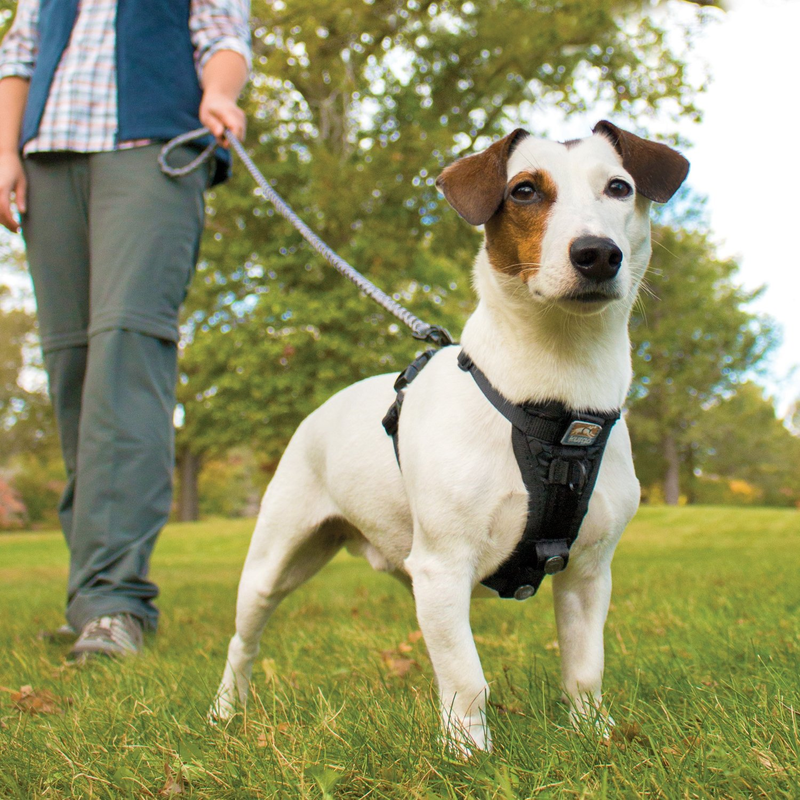 With your dog on lead, position yourself so that when the distraction appears, it will be in the far distance from you and your dog. Wait until your dog turns his attention back to you (the bounce). When this happens, click and then offer a tasty reward; ideally toss the treat on the ground in the opposite direction from the distraction, reinforcing the look-away behaviour. If Fido looks at the trigger again – repeat steps 2 & 3. Deliver one or two treats to your dog when he has bounced his attention from the distraction to you. But dont feed continuously – as you lose the opportunity to reset and repeat. Avoid trying to prompt your dog to turn away from the distraction – by pulling the lead, calling their name or anything else – instead, give your dog time to think and make a choice. 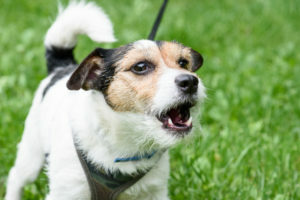 Your dog doesn’t turn their attention away from the distraction, lunges, barks or can’t take food? This means your dog is over ‘threshold’. In other words, you are far too close to the distraction for your dog to focus on learning something new. Double (or treble) the distance between your dog and the distraction next time. It’s crucial your dog is under threshold so he can ‘think and respond’ rather than ‘react’ emotionally. Training the bounce sounds simple, right? However, judging the distance from the distraction, the timing, and how and where to deliver the reward is crucial.  So whilst this article serves as a quick introduction, it’s best to get a good Dog Trainer or Behaviourist to help get your bounce action just right!